Perfect Pallets offers the industry leading solution for the palletization and shipment of time dated, time sensitive advertising inserts throughout the commercial printing supply chain. Mailrooms confidently process advertising flyers packaged on Perfect Pallets because they arrive safe and in great condition. More than anything else, Perfect Pallets offers peace of mind. With no end boards popping up, and no exposed nails or splinters to damage the product, Perfect Pallet loads arrive in better condition, making inserting easier. And did we mention the nestable pallet design? 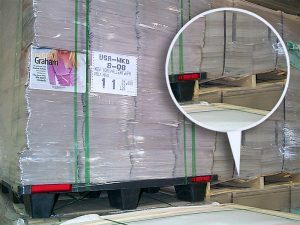 Once emptied, the clean nestable plastic Perfect Pallets safely lock inside each other, taking up 40% less space than the same amount of double sided pallets as they await their scheduled pickup. Unlike other pallets, stacks of nested Perfect Pallets don't slide or shift to create workplace risks. Don't just take our word for it- we are happy to provide multiple references for you to hear first hand from current users about the benefits of Perfect Pallets. 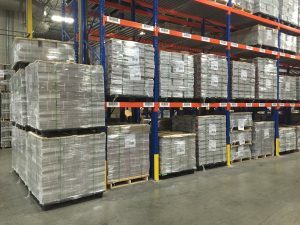 Over 2,000 newspapers participate in this National Repacking Program each week to support better pre-print packaging quality, less product waste and improved production efficiencies. Perfect Pallets Post Press User Group is a great place to share news, get advice, and connect with others in your industry. It's 100% free and easy to join. Get started now by creating your own account.